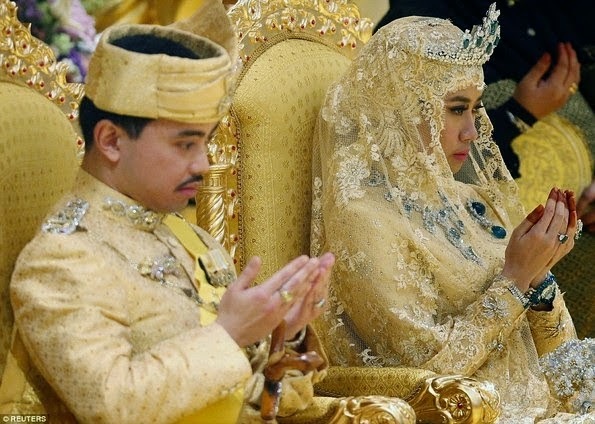 The son of billionaire Sultan of Brunei, one of the world's richest men, got married to his beautiful bride in a bedazzled ceremony at the royal family's palace in the Brunei's capital. 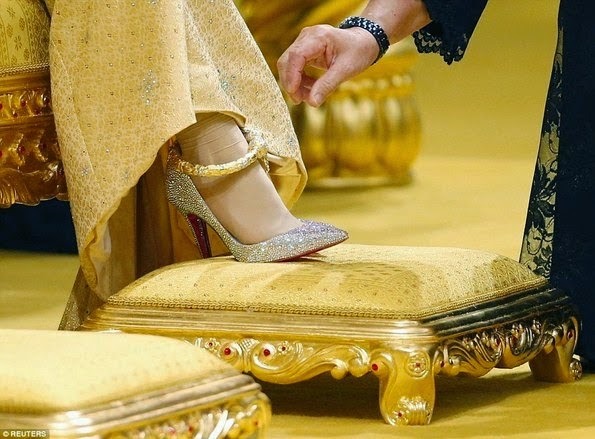 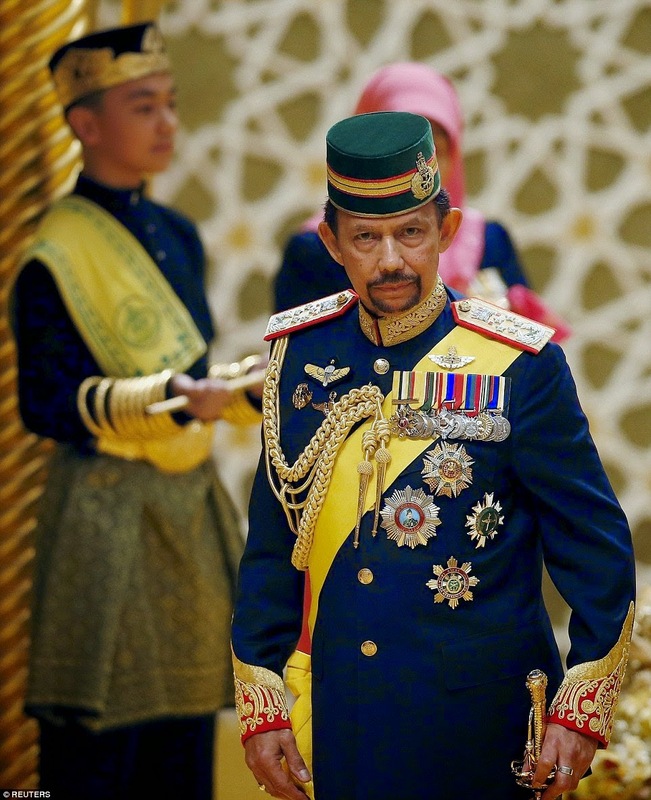 The Prince is the youngest child of the Sultan, Hassanal Bolkiah, and his wife, Queen Saleha, and is second in the line of succession to become the next Sultan of Brunei. 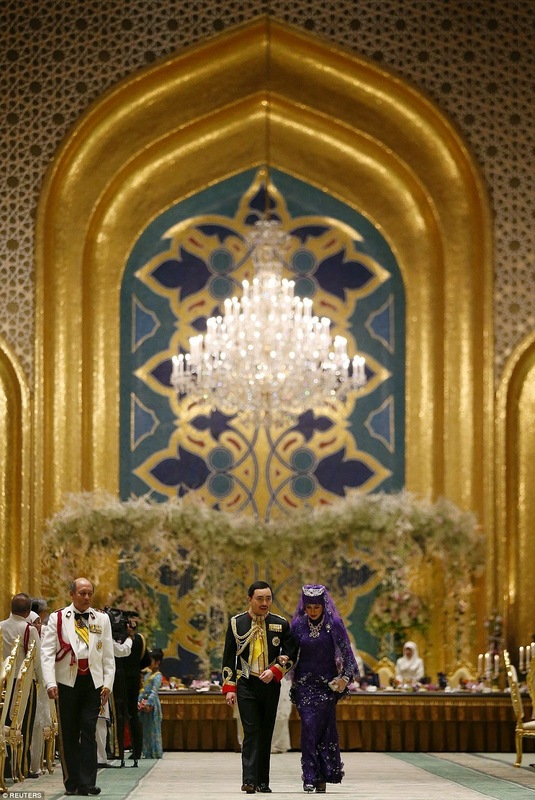 The wedding is taking place over a period of 11 days, and started on Sunday, 5 April, with the royal marriage proposal ceremony. 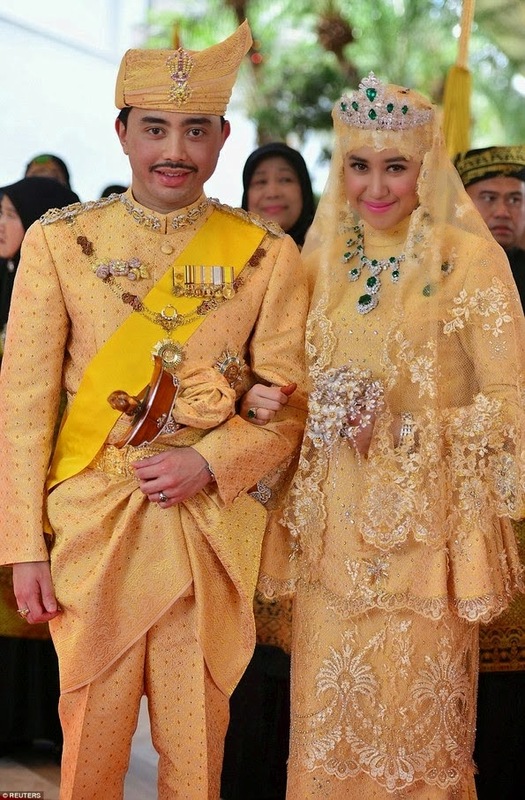 Today, April 11, Prince Abdul Malik, 31, finally appeared with his 22 year old fiancee, Dayangku, and they exchanged vows in front of crowds of friends and family, nobility and foreign dignitaries amid splendour. 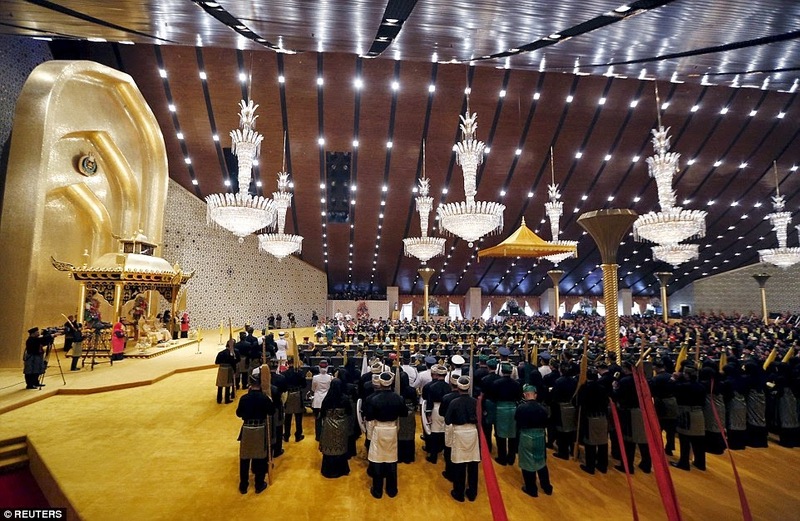 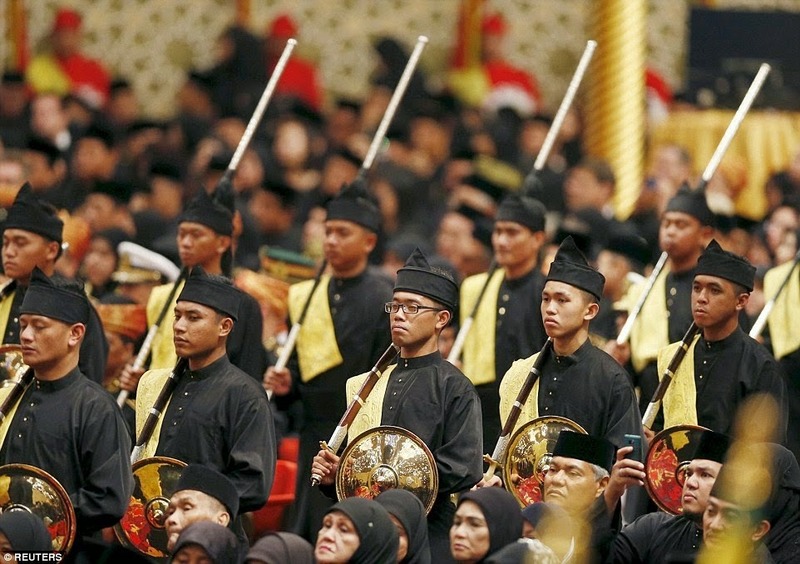 According to reports, also in attendance were seven Malaysian state rulers and the governor of Saudi Arabia. 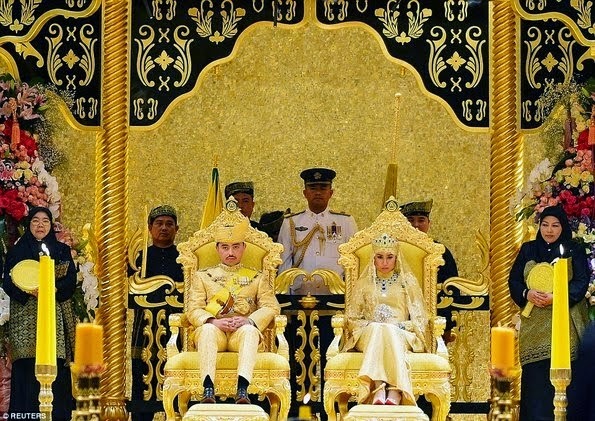 This was the first time that the newlywed couple have appeared together since the festivities started and they made a grand entrance in matching gold outfits. 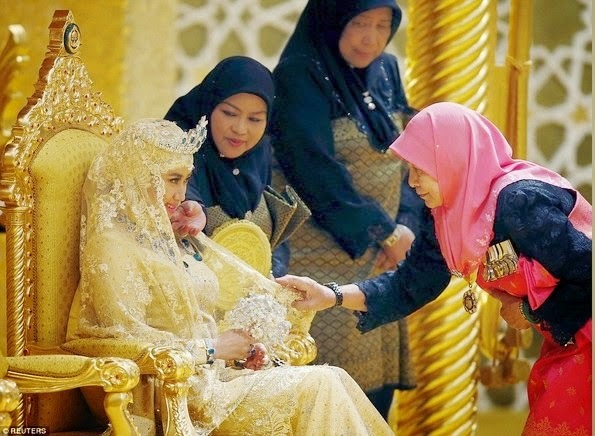 Their traditional attires were both embellished with diamonds, while blushing bride Raabi'atul carried a bouquet made of dazzling gems, rather than flowers. 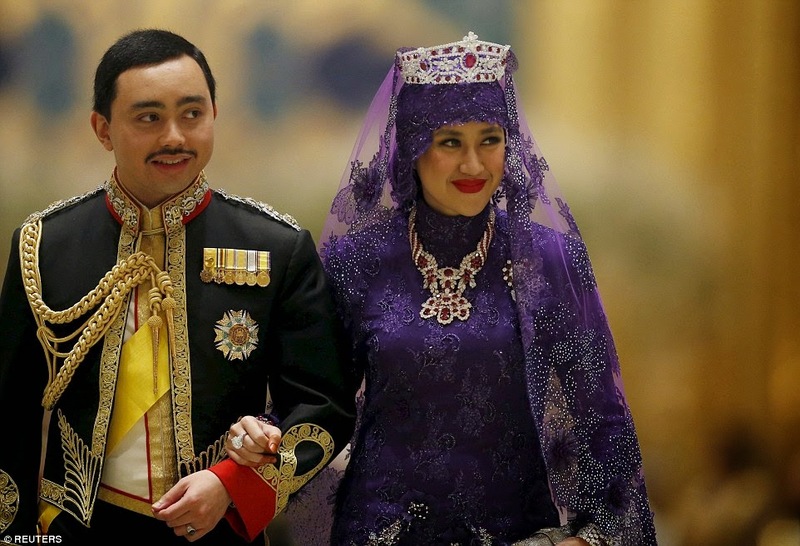 Prince Abdul Malik and his bride, full names Dayangku Raabi'atul 'Adawiyyah Pengiran Haji Bolkiah, also attended the wedding banquet later in the day wearing different and even more lavish clothes. 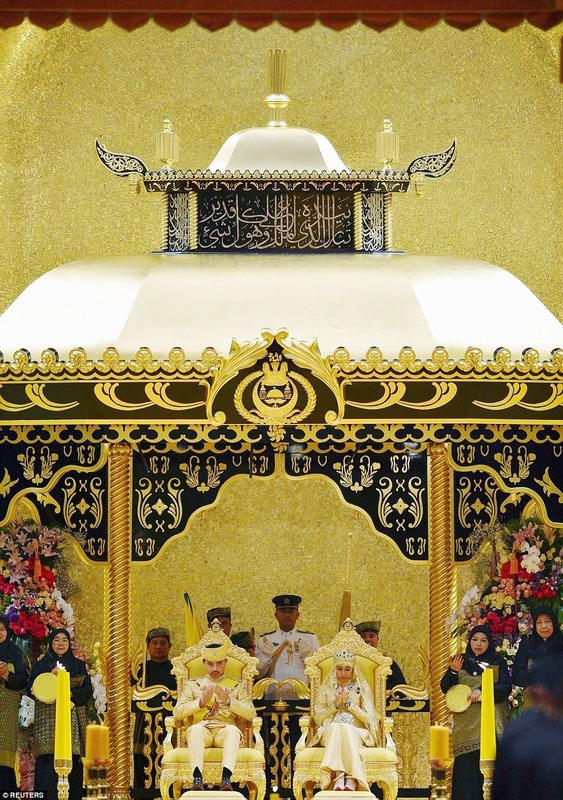 Prince Abdul changed out of his gold wedding suit into ceremonial military dress, embellished with diamond epaulettes and collar. 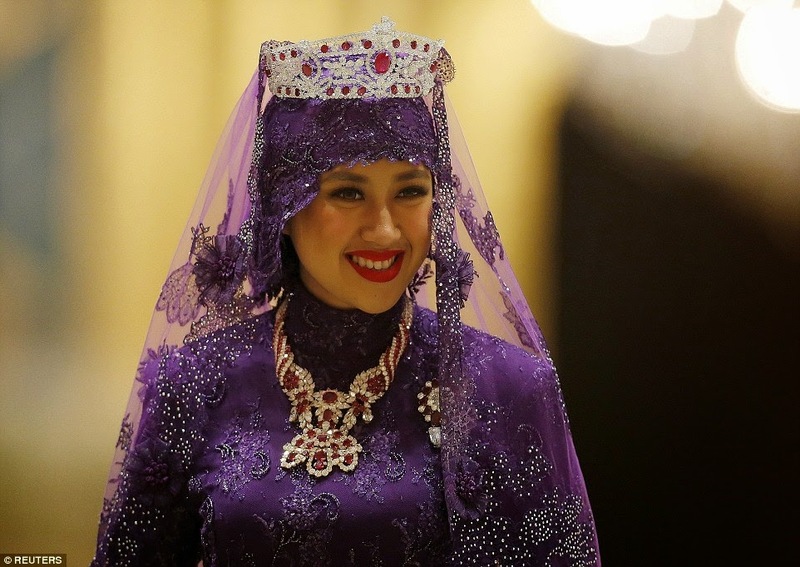 His new wife dazzled in a diamond and ruby crown, a matching necklace, a brooch, which was partly hidden by her diaphanous veil and a huge diamond ring in a platinum setting worn on her right hand.